The parallelization of a Modified PrefixSpan method is proposed in this paper. The Modified PrefixSpan method is used to extract the frequent pattern from a sequence database. This system developed by authors requires the use of multiple computers connected in local area network. This system, which has a dynamic load balancing mechanism, is achieved through communication among multiple computers using a socket and an MPI library. It also includes multi-threads to achieve communication between a master process and multiple slave processes. The master process controls both the global job pool, to manage the set of subtrees generated in the initial processing and multiple slave processes. 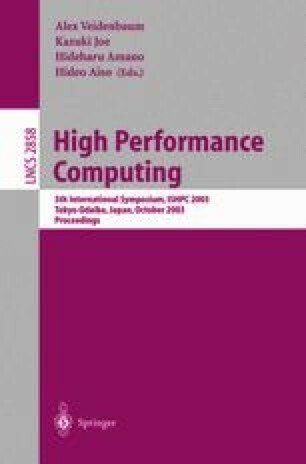 The results obtained here indicated that 8 computers were approximately 6 times faster than 1 computer in trial implementation experiments.